I have to be honest, I'm not a big fan of Marc Silvestri's or Whilce Portacio's artwork. 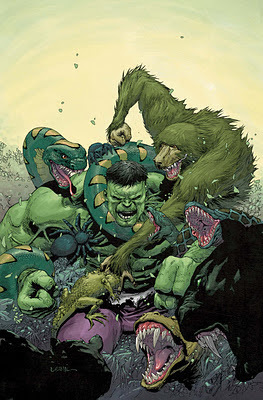 I really want Paul Pelletier or Carlo Pagulayan to return and be the artist for Jason Aaron's Incredible Hulk series. The story is good so far, but what we need is a fantastic artist, which is something that we'll be lacking for the first four issues of Jason Aaron's run. What do you think, Gary? Wouldn't you love to see Paul Pelletier or Carlo Pagulayan return as the main artist for Incredible Hulk?